Prancing through the sky in his purple unitard, it can be hard to figure out whether or not this jester-like spirit is a guy or a girl. 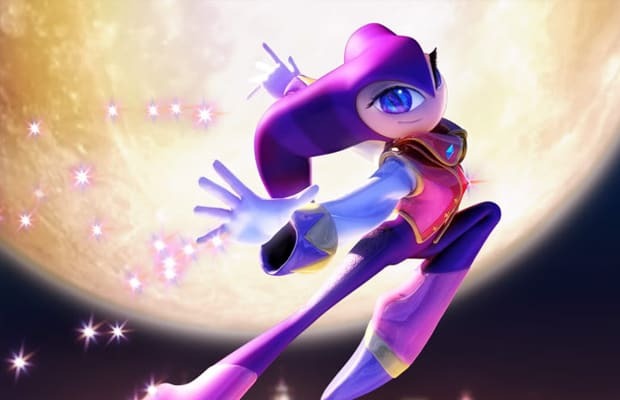 With a feminine voice, big eyes and a graceful stride, NiGHTS appears to be a woman in all regards, until fellow characters in the game refer to him as a he. He was designed to be androgynous as a means of making him accessible to all players, NiGHTS is one of SEGA's few lasting creations, which goes to show that sometimes the most likable sorts dress in drag.